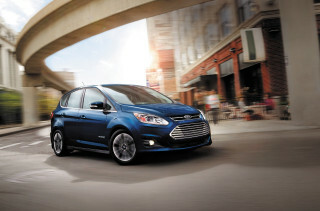 Best gas mileage in the U.S.
Plug-in has lowest electric range in U.S. If it's the top-of-the-line 2013 Toyota Prius that appeals to you, have a look at the Lexus CT 200h. While it's smaller, it offers more high-end features, it's more fun to drive, and the dealership experience is more soothing. The five-door Prius Liftback is the core of the Prius lineup, and by far its best-selling member. Its high tail, vertical rear, split rear window, and overall profile make it an iconic and a shape that's been instantly recognizable since 2004. It's all in service of lowering the drag coefficient, to minimize the energy used to push it through the air at speed. It's the same look the Prius has worn since the 2010 model year, when it emerged as a slightly sleeker iteration of the green icon. There's not much need to change style, really, when you're the most fuel-efficient, gas-powered vehicle on the road--both the Prius and the Prius C are rated at 50 mpg combined by the EPA. Of all those versions, this review covers the Prius Liftback and Prius Plug-In Hybrid, which are all but identical from the exterior, with just a different badge and some tweaked trim here and there--and of course, a charge-port door on the right-rear fender. The heart of the 2013 Toyota Prius is its Hybrid Synergy Drive system, consisting of two motor-generators that can power the car solely on electricity (at speeds up to 30 mph), add torque to supplement the power of its 1.8-liter four-cylinder engine, and recharge the battery pack during engine overrun or braking. Together, the engine and drive motor produce 134 horsepower--giving it slightly better acceleration than earlier models. The quoted 0-to-60-mph acceleration time is just under 10 seconds, though flooring the 2013 Prius produces plenty of howling from up front. The blending of regenerative braking with the all-disc friction brakes is excellent, and Toyota's had longer experience than any other maker in refining it. Using the same running gear, with a few additions, is Toyota Prius Plug-In Hybrid--the first Prius that can be plugged into the electric grid to recharge its battery pack. While it looks like a regular Prius, its battery pack holds three times as much energy, and that gives it 6 to 11 miles of all-electric range when fully charged. But that electric range may not be continuous--unlike the the Chevrolet Volt range-extended electric car--because the plug-in Prius has to switch on its engine whenever it needs more power than the small electric motor can deliver. One example: full acceleration into fast-moving traffic from an uphill freeway on-ramp. The EPA says the Prius Plug-In Hybrid gets the same 50 mpg as the regular Prius hybrid once its battery is depleted. Like all plug-in hybrids, an owner's real-world mileage depends entirely on how much the car can be used for short trips in all-electric mode, with frequent recharges of the small pack. Driving any Prius for the first time can be startling to novices. The continuously variable nature of the hybrid system means the engine speed (and hence noise) doesn't rise and fall with road speed--which can take some getting used to. And the handling is hardly going to elate sports-car fans. Like virtually all of Toyota's electric power steering systems, the Prius feels numb and lifeless through the wheel--though it responds fine and the car corners capably enough. While many think of it as a compact, the 2013 Toyota Prius Liftback has the interior volume of a mid-size car and offers plenty of space for four adults, or five if rear-seat passengers will stagger their shoulders. Hollowed-out front seatbacks help increase rear-seat legroom, though the padding on the front seats is skimpy and taller drivers will find the hard-plastic center console cutting into their knee room. The Space Age styling of the "flying buttress" console is striking, but while it offers storage space underneath, that can be hard to get to. The dashboard offers information in two different areas: an Information Center mounted close to the windshield base and high up, along with more conventional instruments closer to the driver, mounted in a cluster behind the steering wheel. Plastic surfaces are mostly hard, but the effect is distinctive--if hardly luxurious. The 2013 Toyota Prius has seven airbags as standard, along with the usual array of stability and traction control, anti-lock brakes, and a tire-pressure monitoring system. Radar-based adaptive cruise control, a lane-departure warning system, and a rear-view camera are all optional. While Ford's system is better, Toyota's much-advertised Intelligent Parking Assist, which controls the steering wheel to help parallel-park a Prius using the car's cameras--though the driver must brake--is a step in the right direction. A further option is a "Safety Connect" system that will alert first responders after a crash. For 2013, the Prius five-door continues with its traditional four trim levels: Two, Three, Four, and Five. (An ultra-stripped-down base-level Prius One exists, but civilians can't buy it--it's only offered to commercial fleets.) Notable options include the Touch Tracer steering-wheel controls, which let drivers swipe and navigate through menus displayed in the Information Display, keeping their eyes closer to the road ahead than if they focus on the close-in cluster. 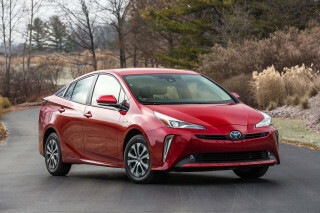 The lowest-level Two and Three models are priced in the low and mid twenties, but the highest-spec trim levels--with either the Technology Package or the first-in-your-neighborhood solar moonroof panel, which runs a small ventilation fan to cool the cockpit when the Prius is parked--will go beyond $30,000. Remote air conditioning, LED headlamps, Bluetooth, and a navigation system are available. 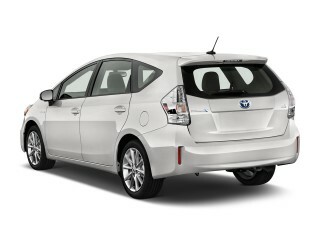 The sole trim change for 2013 is the addition of a special edition called the Prius Persona Series. This trim package is effectively a Prius Three model with 17-inch alloy wheels in a special finish, a Black Cherry Pearl exterior color (Blizzard Pearl and Black are also available), charcoal interior trim with black accents, red stitching on the seats, dark-chrome interior accents, and a special exterior badge. The other two members of the 2013 Toyota Prius family, added last year, are the Prius V wagon and the Prius C subcompact hatchback, both reviewed separately. The Prius V offers far more load space, all the traditional Prius virtues, and a combined EPA gas-mileage rating of 42 mpg--though it sometimes can feel underpowered. The Prius C subcompact is more lithe and sporty--in comparison to the mid-size Liftback, nayway. 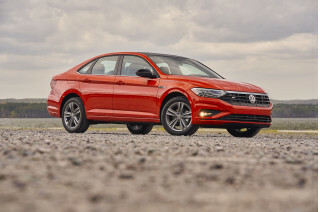 Its smaller engine and battery pack, and simpler interior, give it a base price under $20,000, while retaining a 50-mpg combined gas mileage rating. After a decade, the 2013 Toyota Prius is almost beyond style; it's iconic, and you either appreciate it or hate it. The 2013 Toyota Prius continues unchanged with the iconic shape, now in its tenth year, that started with the 2004 model. It's the most recognizable hybrid in the world, with a high tail, a wedge shape, a domed roof, and a tailgate with a small vertical second window for rearward visibility. At this point, you either like the shape of the Prius or you don't--but you can't deny it's distinctive. That shape could only be a Prius, and you can spot the car from 100 yards. The Liftback five-door hatchback Prius hybrid has a drag coefficient of 0.25, one of the lowest of any car on the market. 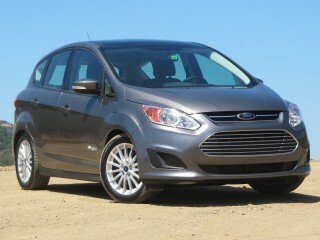 That cuts wind resistance and helps the car deliver its combined 50-mpg EPA rating. Last year, for the 2012 model year, the Prius gained a mild front-end restyling that added LED daytime running lights to updated headlamps, with slight taillamp freshening as well. The inside remains unchanged since 2010, with a wide dash and the distinctive high-mounted, central Multiple Information Display. Compared to more recent competitors, however, that display now looks scattered and chaotic, with an array of graphs, icons, and numbers that is much improved on by other hybrids. A signature feature of the 2013 Prius interior is the hard-plastic "flying buttress" console, and joystick-like "shift" knob--items that could really only be from the Prius. The bin below the swooping console, however, is hard to get at. For owners who fill their cars with the usual assortment of devices, sunglasses, bills and change, and other small items, the style actually impedes the substance. The rest of the interior features lots of hard plastic, though patterned and grained in such a way that it works well with the design theme. Overall, the fabrics and materials of the Prius interior have the appearance of an inexpensive economy car. Higher-level models offer an available Remote Touch controller--similar to a mouse fixed in position on the console--that controls icons on the navigation screen. While the controller feel is intuitive, the interface means drivers must take their eyes off the road frequently to watch the screen. The 2013 Toyota Prius wrings every last drop of efficiency from its fuel, at the cost of a strained feeling and numb handling. The 2013 Toyota Prius is rated at a combined 50 mpg, and it will likely deliver that--or close--to most drivers. It will keep up with fast-moving traffic if you run it hard; at steady highway speeds, the engine is relaxed and the traveling experience is pleasant. That ends when maximum power is required, when you'll hear frequent howling as the engine runs up to its maximum speed and stays there. The 1.8-liter four-cylinder engine is mated to a pair of electric motor-generators inside the Hybrid Synergy Drive system, which supplement the engine power, power the car solely on electricity at low speeds and under light loads, and recharge the nickel-metal-hydride battery pack (stored under the rear deck) during regenerative braking. Noise and vibration from the engine are well suppressed under most circumstances, except if you hot-rod it too often, as described above. That kind of treatment, however, drops the gas mileage from the high 40s to the mid- to high 30s. Roadholding is is decent despite squealing on hard cornering from the low-rolling resistance tires. As in most Toyotas, the electric power steering is lifeless, limp, and betrays no sign of road feel--though it works fine, and energetic drivers will find they can hustle the car through competitive urban traffic. The four-wheel disc brakes work fine under the circumstances when they take over from the regenerative battery-charging under harder stopping. Pure acceleration isn't swift, with a 0-to-60-mph time just under 10 seconds--but that's not why people buy a 2013 Prius. The experience behind the wheel in a Prius is so different, with electronic control of virtually every aspect of the running gear, that drivers are much more likely to focus on increasing their fuel economy number than on beating others away from the stop light. And careful driving, planning ahead, and using the lower-powered "Eco" mode will let any driver exceed 50 mph in city driving. Toyota also provides an "EV" mode that directs the car to power itself solely from the battery pack until it exhausts its 1 mile or so of low-speed electric range. The Prius Plug-In Hybrid performs just like a regular Prius, but its larger lithium-ion battery pack provides longer electric range (the EPA says 6 miles of continuous range, and 13 miles total) and electric-only power at higher speeds (in our experience, drivers can see all-electric propulsion up to the high 40s if they use a very light foot). The charge-port door is on the right-rear fender, and a full recharge using the 3.3-kilowatt onboard charger takes about 3 hours on conventional 110-Volt household current, and less than 2 hours from a 240-Volt Level 2 charging station. 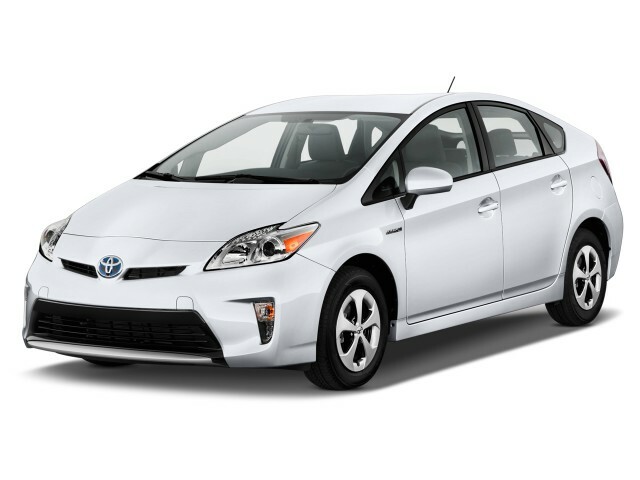 The 2013 Toyota Prius is spacious, versatile, and comfortable, though interior design and materials are far from luxurious. Four adults will fit fine inside a 2013 Toyota Prius liftback. It can accommodate five adults in emergencies, but in the rear, they'll have to stagger their shoulders--and they won't be particularly comfortable. Up front, the driver's seat can be adjusted for height, which isn't the case in every car. But the "flying buttress" center console limits the knee room for taller drivers, and the front seats could use a touch more padding. There's actually more headroom in the rear than in the front--chalk it up to the curved, domed roofline--and slim front seatbacks offer rear-seat riders good kneeroom. Five-door hatchbacks usually have space-efficient layouts, and the 2013 Prius is no exception. It's practical and versatile, and you'd never know the battery pack sits below the rear load deck. Up front, it has plenty of storage cubbies, trays, and the like provide plenty of space for personal items--though the tray below the console is awkward to get to. While they're hard to the touch, the patterned plastics of the dash and door surfaces look good, offering textures and patterns you won't see in any other car--and, who knew, they're carbon-neutral to boot! Under most driving circumstances, the 2013 Prius rides quietly, with little wind noise--one byproduct of its low aerodynamic drag. But when the car is driven hard, the howling noise from the high-revving engine shatters the quiet. It's a chronic fault, or feature, of many hybrids, which use smaller, harder-working engines for maximum efficiency. The tradeoff, though, is that on hard acceleration, they have to work at maximum speed to provide the needed power--and you hear it. The 2013 Toyota Prius continues to score well on safety measures, with optional features that add to its credibility. The 2013 Toyota Prius--like most Toyotas--comes with a strong body structure and a full set of safety features. 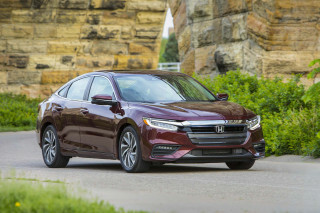 It's received respectable safety ratings, including a Top Safety Pick nod from the Insurance Institute for Highway Safety (IIHS), with Good ratings in all its test categories. It receives a mix of four- and five-star ratings from the National Highway Traffic Safety Administration (NHTSA), with a five-star overall rating, under the new and more stringent crash-test procedures it adopted in 2011. Rear vision is decent if not spectacular in the 2013 Prius, especially once drivers get used to the horizontal line that appears in the rear-view mirror due to the two-part rear window--an extra piece of visual information in what ought to require no more than a quick glance. The available rear-view camera is a desirable option. Optional safety equipment includes a lane-departure warning system, radar-based adaptive cruise control, and the Toyota "Safety Connect" system. Among other functions, the Safety Connect software automatically alerts emergency responders in the event of a crash. While newer systems from Ford are rated somewhat better, Toyota offers its own Intelligent Parking Assist, which steers the car into a parallel-parking space. In this case, the driver provides the acceleration and braking while the software steers the car automatically. The 2013 Toyota Prius has many tech-oriented features, both standard and optional, though competitors are closing in. The 2013 Toyota Prius continues the mildly confusing practice of offering four trim levels, named Two, Three, Four, and Five. There is actually a Prius One, but you can't buy it; it's a stripped-down model solely offered to commercial fleets. Prices have risen steadily over the years, and with the addition last year of the Prius C subcompact--based-priced below $20,000--the Prius Two starts at $24,000 and prices rise into the low thirties for higher-level models with generous options. All Prius trim levels include power windows, cruise control, and an AM/FM/XM/CD player audio system as standard. In last year's slight update, Toyota added a standard Bluetooth connection and a 6.1-inch display radio with iPod and USB connectivity. Moving up from the Prius Two to the Prius Three trim level adds satellite navigation, the useful rear-view backup camera, and an upgraded audio system. The audio has Toyota’s Entune multimedia system built in, including a suite of applications that can connect to such Internet services as Pandora and Bing via a compatible smartphone that's been linked via Bluetooth. The Prius Four gets heated front seats and leather upholstery, and the top-of-the-line Prius FIve adds LED headlamps to join the LED running lights, larger 17-inch alloy wheels, and options for a 7-inch touchscreen navigation system with split-screen capability, automatic on/off headlights, and an eight-way power adjustable drivers’ seat that includes power lumbar support. Other equipment includes the flashy solar-roof package, which embeds photovoltaic cells into a glass roof panel. It only generates enough electricity to power cabin-ventilation fans that pull hot air out of the Prius while it's parked. That cuts the load on the air conditioning when the car powers up. Remote starting for the air conditioner is also offered. Another option is the Touch Tracer system, which lets the driver swipe fingers over controls right on the steering wheel that reproduce the movements on the Multi-Information Display panel on the dashboard. That means drivers can keep their hands on the wheel while adjusting climate control or radio settings. Other makers offer dedicated volume buttons and other controls on the wheel, but this is definitely more high-tech. An addition to the 2013 lineup is a new special edition, which Toyota calls the Prius Persona Series. This trim package is effectively a Prius Three model with charcoal interior trim with black accents, red stitching on the seats, dark-chrome interior accents, a new exterior color called Black Cherry Pearl (Blizzard Pearl and Black are also available), 17-inch alloy wheels in a special finish, and a special exterior badge. The Prius Plug-In Hybrid, as the most expensive model in the lineup, is essentially a Prius Four with some exterior trim changes, plus the larger battery pack and onboard charger that make it an electric car that can recharge from the grid. The 2013 Toyota Prius remains the highest-mileage gasoline car without a plug you can buy, and it's even a mid-size hatchback, not a small subcompact. Last year, for the first time, the Prius Liftback's combined EPA rating of 50 mpg was matched by another car. It, too, was a Prius, in this case the subcompact Prius C five-door hatchback. So the 2013 Toyota Prius remains the highest-mileage gasoline car sold in the U.S. market without a plug. For those of us who aren't hypermilers--compete to see who can travel the furthest on the least amount of gasoline--it just delivers the best fuel economy we can buy. Specifically, the EPA rates the this year's Prius Liftback at 51 mpg city, 48 mpg highway--giving that combined rating of 50 mpg. By concentrating on it, accelerating lightly in electric mode, and planning ahead, you can exceed 60 mpg at slower speeds on level surfaces--especially if you can take advantage of "EV" mode for the last mile of your trip. In more real-world mixed use, we expect 45 to 50 mpg will be the norm. You can drop that into the high 30s if you have a heavy right food, or are carrying heavy loads up long grades. As in all Toyotas, the Hybrid Synergy Drive system is at its most effective in stop-and-go urban and suburban traffic, where it shuts off the engine frequently. If you do a lot of city driving, it's entirely possible to achieve a sustained 50 mpg or better. Just ask the taxi drivers all over the world who relish the low operating costs of their Prius cabs. The Prius Plug-In Hybrid presents more of a conundrum for green-car fans. It has the lowest all-electric range (6 to 13 miles) of any plug-in on the market, significantly lower than the 20 miles or so of Ford's C-Max and Fusion Energi plug-in models--let alone the 38-mile electric range of the 2013 Chevy Volt. The plug-in Prius does qualify for single-occupant use in California's carpool lanes, which may be spurring its early sales. 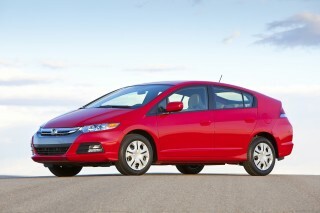 And perhaps it offers an easy step into the world of plugging in for the 1 million-plus U.S. drivers who own Priuses. Still, as an electric car, it's a minimalist statement--betraying the company's core belief that electric cars aren't the way to go. 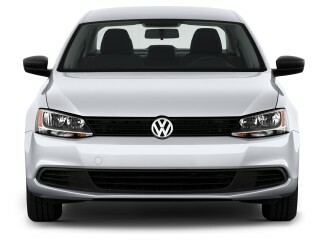 Love the car, love the lease. Too soon to own a hybrid as I expect the technology to keep improving. Current car gets @ 12 miles on the overnight charge. Next model is supposed to get @ 30 miles on the charge... Love the car, love the lease. Too soon to own a hybrid as I expect the technology to keep improving. Current car gets @ 12 miles on the overnight charge. Next model is supposed to get @ 30 miles on the charge. I have time of day metering so I only pay @ 8 cents per KWH when charging the car. I leased the car at the end of the model year and got a great deal... Waiting for the 2016/2017 Plug in Prius to be available. Toyota is allowing me to extend the lease until the new one is available. This is our second Prius and we're looking forward to the 2016 Prius to be our third. We love our Prius, Best quality car I've ever owned. I always tell everyone about our awesome Prius. On road trips, if we stay under 65 MPH I almost always 58-63 MPG. This is a fact. A car with great features and benefits, it's too bad Toyota holds back its potential to charge big for every drop of goodness. Best all around and lowest price hybrid available in USA. The Toyota Prius is the second hybrid car I have owned. The first was a Toyota Camry and I logged 239,000 miles on it with just a few issues. The Prius is about the same as the Camry when it comes to cabin... The Toyota Prius is the second hybrid car I have owned. The first was a Toyota Camry and I logged 239,000 miles on it with just a few issues. The Prius is about the same as the Camry when it comes to cabin roominess. The interior is very plane and not much to write home about. I put about 36,000 miles per year on my vehicles and so far the Prius has been a great car to have on the road. My biggest complaint is that I can not see the touch screen for the radio when the sun is shining.